Pacific Controls received a certificate of thanks and gratitude from the for Ministry of Infrastructure Development – maintenance department on 30th December, 2015 for their active participation and efforts in supporting the management strategic activities and initiatives that led to a great success, with a wish for more progress and development. This was a small testimonial by Miss Wafa Al-Sabbagh, Deputy Director for Maintenance, Maintenance Department, Ministry of Infrastructure Development. 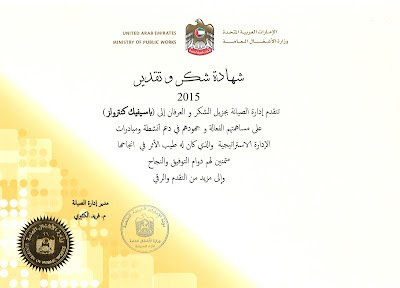 Under the presidency of His Highness Sheikh Maktoum Bin Rashed Al-Maktoum, the Ministry of Public Works (now Ministry of Infrastructure Development) has been formed to cater the various requirement of the government of UAE. Ministry of Infrastructure Development has come up with a program for managing and supervision of infrastructure and effective optimization of available resources. Ministry of Infrastructure Development has taken an initiative, especially in the energy sector to improve energy efficiency and also reduce management expenses. The aim is to become a service provider with leverage on smart control solutions and remote access of electro-mechanical systems deployed at various sites. Pacific Controls has partnered with leading product OEMs, carriers, service providers, governments and diversified enterprises to leverage smart connected devices, machines and the internet of things and people. 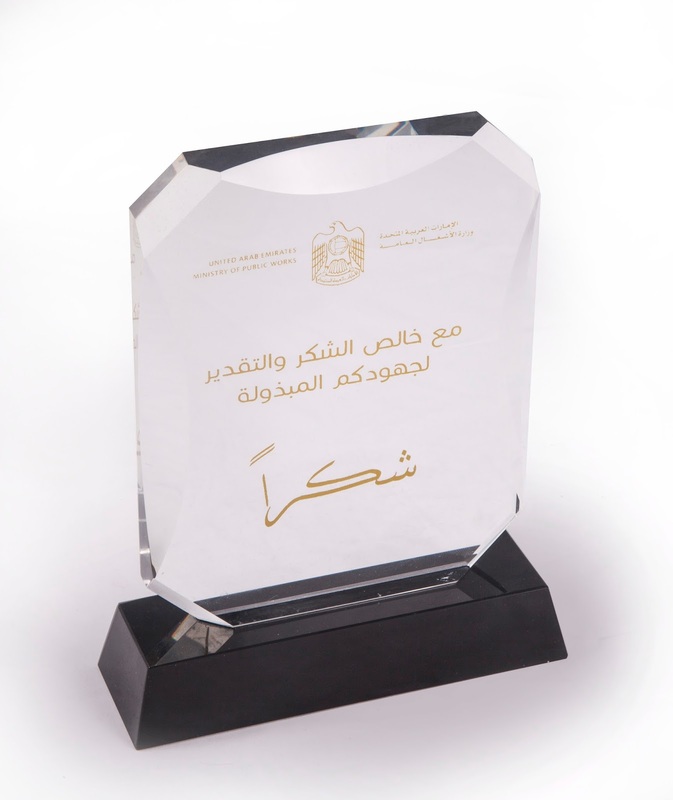 Organization's goals are in accordance with the Ministry of Infrastructure Development and Green UAE sustainability with automation and smart solutions are the prime focus area. Together, the Ministry of Infrastructure Development and Pacific Controls join hands to support His Highness’ vision of 2030 for making UAE, one of the happiest country in the world using innovative solution available to pioneer in such initiatives. Pacific Controls has proposed Ministry of Infrastructure Development for energy optimization solution for different type of buildings. The HVAC system will be managed and monitored remotely to improve energy efficiency. This will result in reducing electricity consumption thus supporting the national cause of environmental changes and CO2 reduction. API First approach and Why Should You Care? An application-programming interface (API) is a set of programming instructions and standards for accessing a Web-based software application or Web tool. A software company releases its API to the public so that other software developers can design products that are powered by its service. The paradigm shift in software design thinking from User Interface design to API first design. The plethora of devices, Web, Thin clients, thick clients, varied mobile screens, smart watches, IOTs, touch screens- which produce and consume lot of data to/from the back-end systems, demands diversified User interfaces and user experiences, however the interaction with back system remains same. Due to proliferation of devices, so the user interaction with the system, the only way to gain control is from API first design approach. Abstraction of API interface is critical to orchestrate the back-end interaction, which allows dynamic adoption of User offerings and allows UI developers think without worrying the back-end access mechanisms. 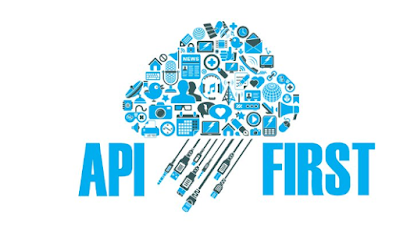 API First approach is emerging as the next big thing when it comes to APIs. But what does API First really mean? It starts with the idea that the API itself is in the driver seat. Whatever your backend service may be, whatever core functionality your organization provides, whatever systems you have in place, players in the API Economy really don't care how those systems work, and they certainly don't want to consume them based on your enterprise rules. Yes, these consumers recognize the need for what you have to offer, but they want to consume it based on their business, not yours. “ Here is what I have to offer you, and here is the exact way you need to work with me to get it." " This is what I need, and I want it exactly the way I need it." Also implicit in the concept that the API is the contract is the ever-changing nature of APIs. A good API is Agile - it changes as often as necessary to meet API consumer requirements and to offer new functionality. By following best practices of API design, these changes can be introduced without breaking existing apps that consume the API. In the API Economy, it is the API itself that is the product. Sure, without backend services providing the actual data and functionality that are required, the API would be pretty much useless. But the point of interaction, the place where the transaction occurs, is the API. Apps are built on APIs (and often from different providers). Developers work with APIs. Business partners want to interact through APIs. It is important that you invest the same type of efforts in your APIs as you do in any other product. This is true even if you are not planning on monetizing your APIs. Ideally, this means a separate product owner for the API. How PCS Digital Business HUB helps you joining the API Revolution? The PCS Digital Business HUB is a ground breaking digital enablement platform, which is designed to enable enterprises, MNOs, government and individuals to transform the way they engage and partner in digital ecosystem by removing many of the barriers by providing API and Identity as a servicehence positively affect an organizations profitability (API Economy). This paltform provides a single point of integration, creating a simple, agile, monetizable digital service echo system aimed at connecting government services, enterprises and consumers across Middle East Region. 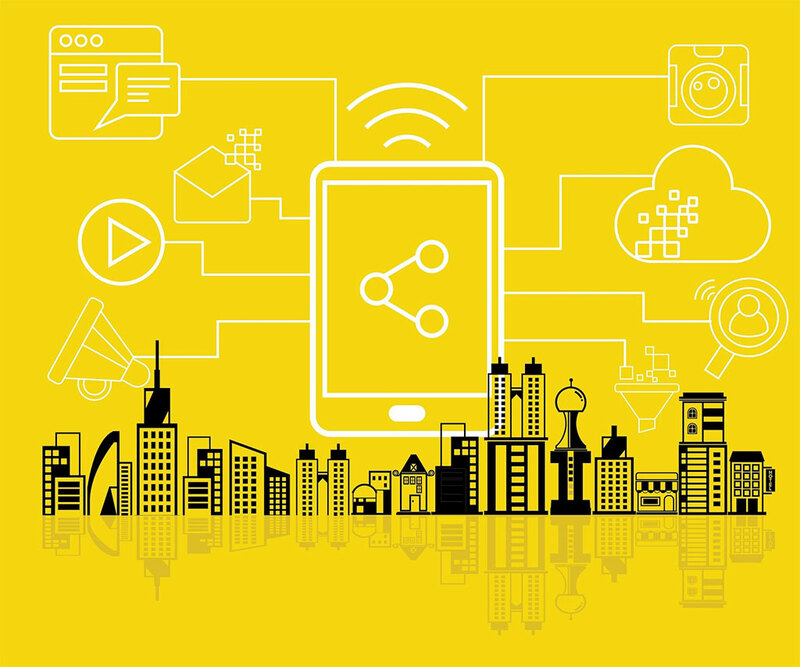 How to create a Smart City Strategy and its Implementation? Smart city strategy and implementation evolves with technological advancements achieved over rapidly developing global spectrum of research and developments in the field of Machine 2 Machine (M2M), Internet of Things (IoT) and moving onto Internet of Everything (IoE). Through various online resources available it is a clear indication of the direction which a technology company needs to take if it wants to be in the league of the highly lucrative IoE domain, which considering economies of scale, is a prime index to determine the return on investments. End of the day, the initiatives undertaken by pioneers in the IoE spectrum is to ensure that they benefit commercially at a global scale, gaining with the first mover’s advantage. As it is in the case of many internationally acclaimed corporates, IoE is the next phase they foresee for their rapid growth and diversification of business with a global footprint. Companies must embrace latest and evolving technologies accessible in order to remain competitive in the coming years. Enhanced hybrid internet connectivity, redundant and high available big data solutions, robust platforms run on cloud computing and integrating to the social media with a wide reach may be identified as major forces to ensure competing capabilities. As per statistics published by Gartner; in comparison with year 2009, it is estimated that the total IoT units devices globally will reach 26 billion by the year 2020. This directly accounts for an exponential surge in the smart devices and would account to the need for high available and reliable infrastructure and bandwidth to handle the IoT growth. Key stakeholder in smart city strategy formulation and implementation would be the end user and is a focus while designing smart city platforms to ensure appealing user interfaces which provide complex data structures analyzed through intelligent analytic tools and portrayed onto dashboards which would be easy to use and interpret. Collation of all sub-systems in a city-level deployment of smart city ecosystem is an evolution of large scale Information Communication Technology (ICT) solutions catering various needs and functionalities that demand enhancement in efficiency and sustainable resource utilization yet available readily to use by each and every resident of the city. Happiness index factor is a key measure and target of development of policy makers who undertake strategic decisions of a sustainable city level development initiative. This is highlighted in the World Happiness Report 2013. On March 05th 2014, Dubai formulated a strong far-sighted strategy with tangible milestones to transform itself into a “Smart City”. Considering that there are more than 180 nationalities living in Dubai, the transformation to adopt latest technologies directly carry huge impact in enhancing the life standards of the people residing in Dubai. The role of smart city initiative and its related developments keeping in view the Expo 2020 is vital to future developments in the region. Introduction of ministries for happiness, tolerance and future is a clear and indicative direction to ensure that the milestones and vision of Dubai is met. A three-year timeline was set by the governance to ensure that Dubai Smart City project will be in track and following which Dubai will be the world’s smartest city by the year 2017. Pacific Controls has pioneered the artificial intelligence framework developed for virtualization of managed services and for the delivery of real time business intelligence with its “Galaxy 2021” the Internet of Things platform. This ground breaking technology from Pacific Controls offers the world the opportunity to leverage the ubiquitous platform, Galaxy 2021 for IoT infrastructure and Smart City management applications. Pacific Controls’ Galaxy 2021 is the world’s first enterprise platform delivering city centric services for management of its ecosystem comprising of Agriculture, Airports and Aviation, Education, Healthcare, Government, Energy, Financial Services, Hospitality, Manufacturing, Ground Transport, Logistics, Marine Ports, Oil and Gas and Residential. What is PCS Digital Business HUB? Pacific Controls (PCS), a leading provider of Internet of Things (IoT) managed services solutions globally and Middle East’s largest Tier 3 secure data center / cloud services provider, has collaborated with WSO2.Telco, creator of a ground breaking digital enablement platform, to launch Middle East’s first Digital Business Hub. The Digital Business Hub will also contribute towards the acceleration of the on-going transformation of Dubai into the world’s most advanced and connected Digital Marketplace. The PCS Digital Business HUB is a ground breaking digital enablement platform, which is designed to enable enterprises, MNOs(Mobile Network Operators), government and individuals to transform the way they engage and partner in digital ecosystem by removing many of the barriers by providing API and Identity as a service hence positively affect an organizations profitability (API Economy). This platform provides a single point of integration, creating a simple, agile, monetizable digital service echo system aimed at connecting government services, enterprises and consumers across Middle East Region. What is API Economy ? 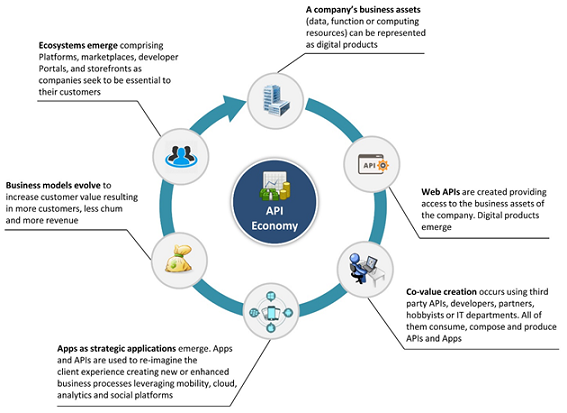 API economy is a general term that describes the way application programming interfaces (APIs) can positively affect an organization's profitability. Today, business leaders are aware of the financial impact APIs can have and companies are generating revenue by exposing APIs as business building blocks for third party applications. In the API economy, application programming interfaces (APIs) act as the digital glue that links services, applications and systems. This allows businesses to make the most of their data to create compelling customer experiences and open new revenue channels. There is disruption happening in global business world over. For example, 50% of business-to-business collaboration will take place through Web APIs by 2017, and by next year 75% of Fortune 1000 firms will offer public Web APIs, according to IT research firm Gartner Inc. Mobile and cloud in particular are pushing increasing amounts of economic transactions from the existing HTML web over to API-driven interactions, even as both continue to grow. B2B supplier relationships in the form of APIs are also accelerating rapidly, replacing human web-based flows or even older fax/phone-based procurement models. Multi-channel plays in retail, content and other sectors are all tending towards API-style implementations with many interface points feeding a single transaction process. For this reason, it is best not to imagine that joining the API Economy would be similar to joining a new economic system. Rather, think of it as maximizing your growth potential in what is likely to become the most important component of the economy. API optimization is continuous based on insights from new customers and usage of APIs. Apps and APIs continuously improve. Product management emerges for APIs as digital products. API management is the process of publishing, promoting and overseeing application programming interfaces (APIs) in a secure, scalable environment. It also includes the creation of end user support resources that define and document the API. How PCS Digital Business HUB helps you joining the API Economy? 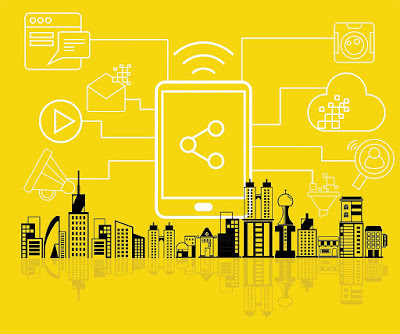 The PCS Digital Business HUB provides enterprises and developers a single point of integration, creating a simple, agile, monetizable digital service echo system aimed at connecting government services, enterprises and consumers across Middle East Region. HUB Enables multi-operator aggregation, discovery, routing and interconnectivity of services. Aggregates services exposed by other hubs, by gateways, and via direct connections from MNOs. Provides a single point of integration for enterprises and service providers. Comprehensive administration, rating and reporting. It can also be used to provide hosted Mobile Connect functionality for a Telco group or for a whole country. 2016 Pacific Controls. Powered by Blogger.